Central StorageMeeBox functions as a Network Attached Storage (NAS) device, which means you can store all your office and media files centrally onto MeeBox. All these files are accessible by every PC within that same network.Data RedundancyMeeBox holds place for 2x3.5" internal harddrives (not included) and supports RAID0 & RAID1 configurations. All data stored onto MeeBox is stored twice, onto both HDDs (not included). This means the second hard drive is an exact copy of the other one. Therefore if one of the HDDs get corrupted your data is still on the other HDD.Media serverShare all your media files stored on MeeBox with other devices within the same network. MeeBox runs an UPnP media server and acts as your iTunes server as well. Print server - Connect your USB printer to MeeBox and share the printer with all PCs and notebooks within that same network.Web serverNo need anymore to get a contract and pay money to an external hosting service. From now on you can host your own website(s) directly on MeeBox.Torrents downloadYou no longer need your PC for downloading torrent files. You can just simply upload the torrent file(s) to MeeBox and the MeeBox will do the rest. This way downloaded files are directly stored into the right location and you save energy as well because of the significant lower power consumption of the MeeBox.Remote file accessNo matter where you are in the world, you can always access your MeeBox over the internet. MeeBox runs a FTP server and has an integrated HTTP web-based file manager. Playing with it now, if I get it working then its a great price but so far I'm not liking it. Won't vote til I've had a better look over the thing, but it is cheap for what it says it can do. EDIT: Also be aware that the brand LOOQS no longer exists as such, the website says they finished at the end of 2011. There will be no support available, just what you get through the place you buy it from. I picked one of these up with an included hdd, played with it for three days then took it back for a refund. The interface is awful and the instructions are rubbish. At the time the manufacturers Web site was off line and when it was restored it had very little useful information. I purchased an HP micro server instead which is much much better. all that said, at this price its a good deal if you can get the thing working!! There is another version on ebay if you search for it which has a 4 port giga switch on the back for about £4 more. Bought one last night hopefully it will be ok for a music server only. As per similar model posted the other day......expect VERY low speed transfer rates and RAID write speeds so don't expect to be streaming HD.. I have the Wifi router version of this - purportedly *faster* yet disk<>GBit LAN speeds on that are consistently <10MB/sec. They are this cheap for a reason. At least, with the router version, you can use it as a b/g access point and a GB switch, if nothing else. I hope (but suspect in vain) that the software interface on this model is better - it could hardly be worse. However, if it provides ssh and telnet, as the router version does, "all" things are possible. Just wrote a file to it across the LAN, got between 5.5 and 6MB/s. I have an iomega on the same LAN that got almost 7MB/s so it aint too fast, although I want it as a remote storage box so it will suit me fine. Read speed on the iomega is about 11MB/sec, whereas this seems to read at the same speed it writes so half that. Software is buggy as hell though, not liking it. Some things wont work in Chrome, others wont work in IE! Mine is the router version (wireless + 4 port GBit switch) but I expect this to be similar. So far I'm thinking I'll pay the extra and get a ZYXL next time they are 30 quid, but I'm still playing with it and may change my mind. If its not fit for purpose you can always return it, just be aware there is no manufacturer support. It should be straght forward for Upnp music to laptop and phones? Or should I send it back? Dont use debit card online mate, it isnt seure. Use a credit card. I bought two from amazon so I should have waited and got them from cclonline and saved a few quid. I installed a 250gb and loaded up a disk image and found most stuff works straight out of the box. I too found the file up/down load speed to be a bit tardy but good enough to stream stuff to XBMC on my ATV2. Don't buy this box if you want it to be a dedicated bit-torrent engine - the implementation is pants. I noticed the help text in the management screens makes frequent reference to Q-ONE. A quick Google search lead me to Memup Q-ONE NAS Server. It seems to offer pretty much identical functionality. If the chipset is identical I might try and implemet their microcode rather than LOOQS code. I can't hurt can it? Shame though that their bit torrent implementation is similarly naff. Has anyone else experienced a tingling sensation when you touch the case? Should I be worried? Hope your ring main has an RCD or RCBO to protect you! If it has an internal switch mode power supply unit, this could be faulty, or the whole thing hasn't been earthed properly. 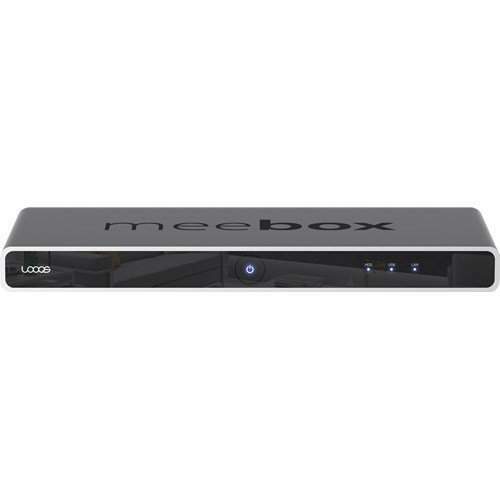 I bought one LOOQS MeeBox NAS media server. Can anybody tell me how to set it up. The installation CD supplied with the unit has 69 pages of instructions which totally useless. I am sure some body out there will havesome answer.